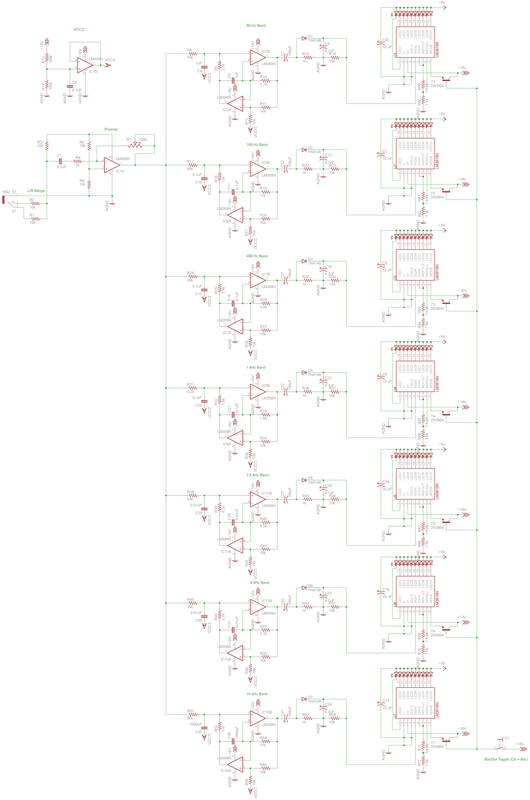 Ok so part of the reason why I’ve been procrastinating on the spectrum analyzer is cause of issues with free Eagle being unable to lay out a board large enough for the entire device, and that I’m waiting for supplies to etch PCBs. 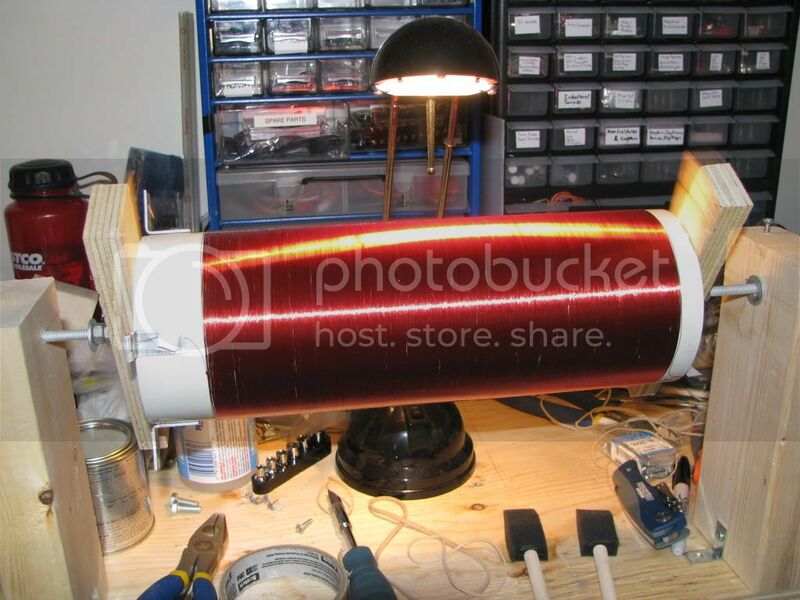 In the mean time, I’ve started work on a solid state tesla coil (SSTC)! It is based off of Steve Ward’s Mini SSTC. 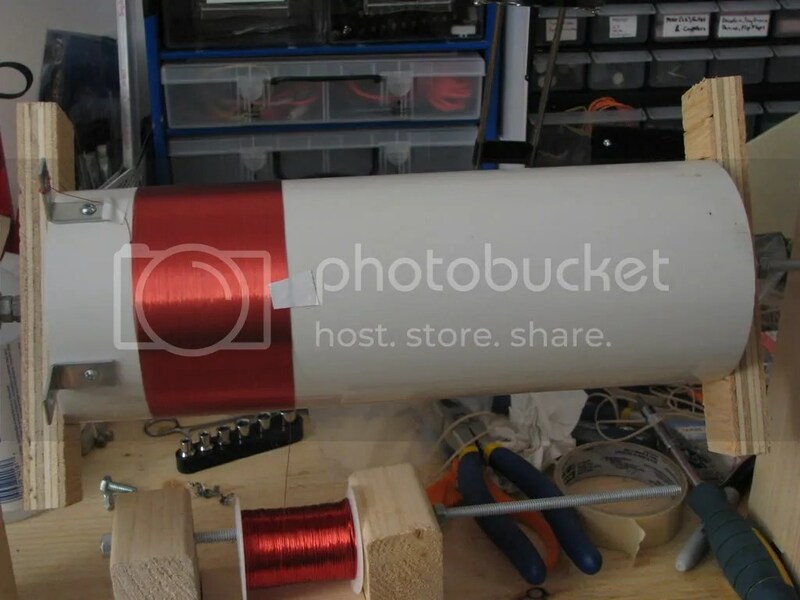 I’ve been winding the secondary coil for the TC over the last day or so on a 4″ diameter PVC coilform with 30AWG magnet wire. 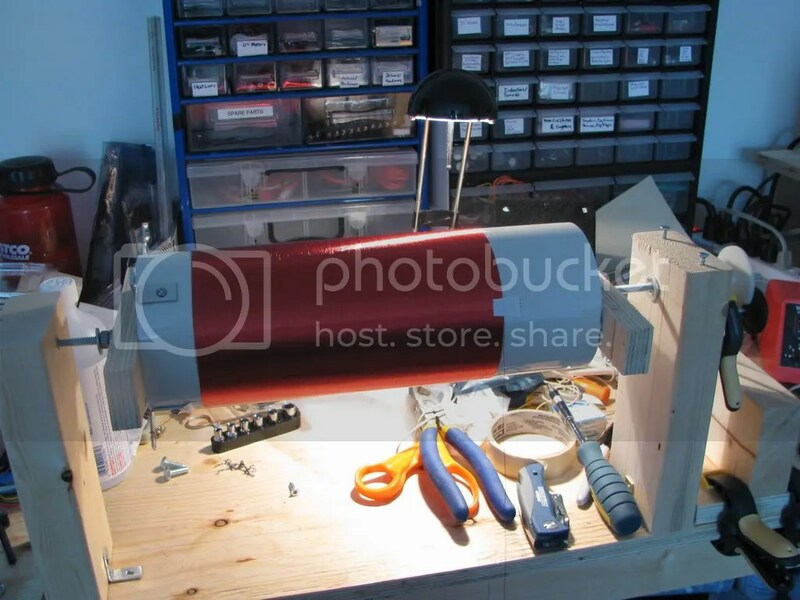 The PVC tube was 10 feet long when purchased and I had it cut down, however the outer surface of the tube was too rough (would have damaged the insulation on the magnet wire, and made winding harder) so I set up a coil winding jig and started sanding the entire tube down (120 grit) followed by 220 grit and 400 grit to smooth the entire tube down. After a quick wipedown and cleaning, clear polyurethane varnish was applied to the tube while rotating (to prevent drips/runs). 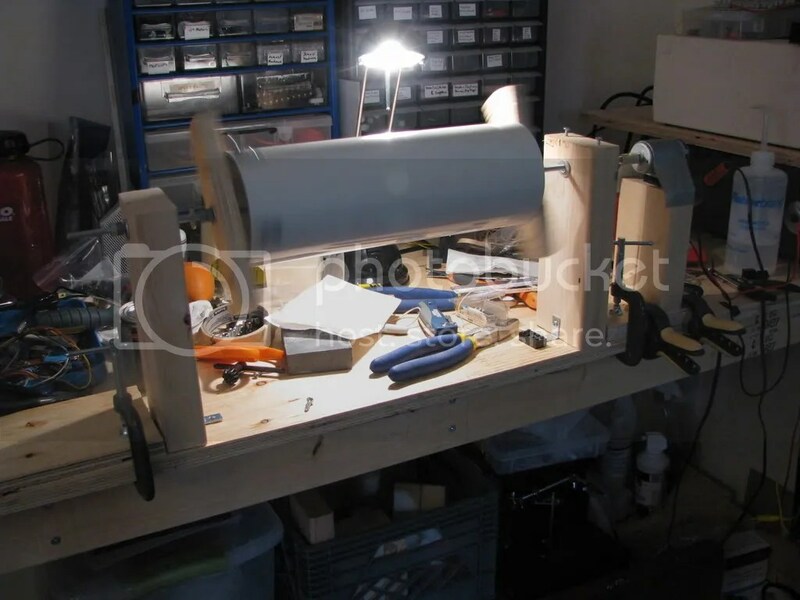 Following the clearcoat drying, 4 L brackets were applied to give a mounting point for the secondary, and the winding began. 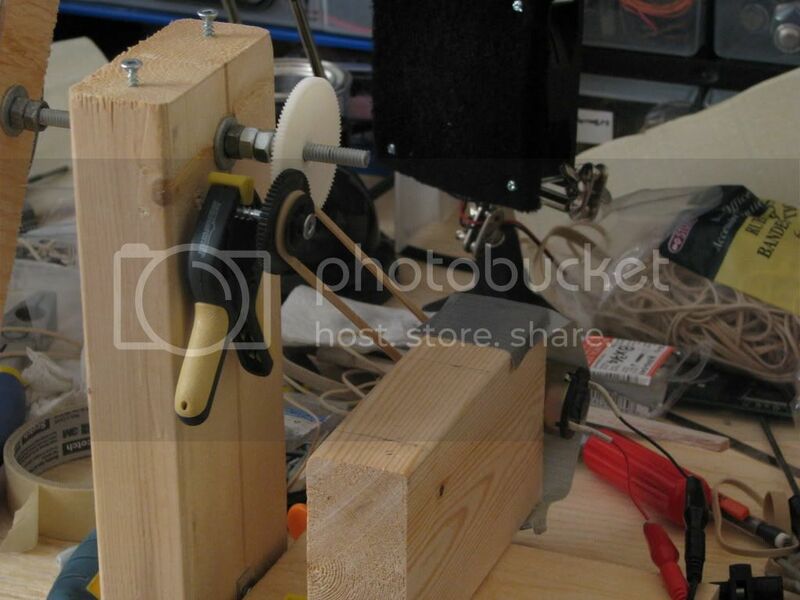 Once the first few windings are laid down by hand, the motorized winding jig became extremely useful. Most of the coil was wound within an hour or 2 spread out over 2 days since the motor continually overheats when applying the level of torque required.